This sign is for Bordens Ice Cream. The sign’s colors are blue, white, and red. 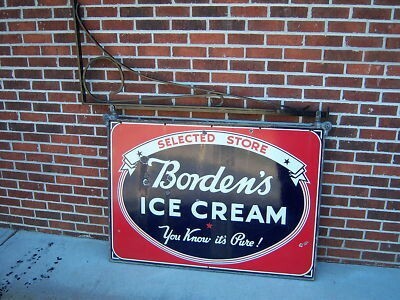 The text on the sign reads: Selected Store Bordens ice cream you know its pure!. The sign shows text in a circle with banner above.